This almost happened last season as it took a monster September for Christian Yelich to pass up Tony Gwynn's record (.313) in 1988, but no other player has yet to pass that number with Scooter Gennett finishing second at .310. This is less a statement about the state of hitting in the National League and more about the pitching. The rotations are stacked across the board especially in the east, and the west is no joke either. Hitters will be challenged night in and night out and that could easily lead to a serious down year in average in the league. Atlanta were a wonderful story last season but the east is not the same as it was then. The Philadelphia Phillies added Bryce Harper, the Washington Nationals have Patrick Corbin and the New York Mets picked up Robinson Cano and Edwin Diaz. The division is much better and the Atlanta Braves really did not add much. They have a little bit of time still as they could acquire Dallas Keuchel, but for now, this team are primed for sophomore slumps and getting picked off by other teams making improvements. This one is a bit of a stretch, but it is more so based on our belief that Gary Sanchez will bounce back this season. He was hurt much of last year and never got going at the plate and was awful as a result. Sanchez is just not that type of player. He is a prime candidate to bounce back with 40 home runs and could easily beat Aaron Judge or Giancarlo Stanton this season in long balls. Miguel Andujar could do it as well, but we will see how much his defense keeps him out of the line-up. We have already given you our outlook for the Braves so that one is self-explanatory, but the NL as a whole is positioned for a lot of turnover. The Los Angeles Dodgers' line-up got better, but their rotation is getting older and Clayton Kershaw is already struggling with injuries. The Colorado Rockies are young and just extended their star so they have a great chance to win a division they could have won last year in a playoff. 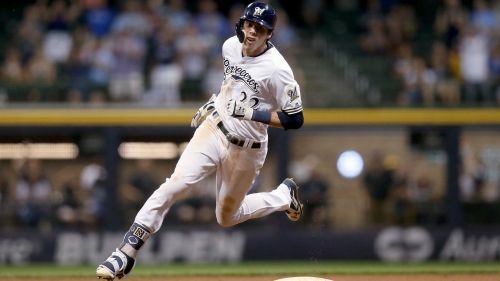 In the central, the St Louis Cardinals or Chicago Cubs have a great chance to knock the Milwaukee Brewers off their perch as the division champion. This one is not that crazy to see happening. Manny Machado is a great player, but two big things contribute to this: firstly he is not playing at Camden Yards anymore. Camden is a notorious hitter's haven and Petco Park completely destroys home run numbers. Secondly, Machado will not be hitting in the Dodgers' line-up this year so he will not have nearly the protection he had in Los Angeles, or the same number of runners on base in front of him. Eric Hosmer and Wil Myers have yet to show the consistency to protect other hitters in a line-up and Hunter Renfroe is still finding his way as a hitter, so Machado will not have nearly as many RBI opportunities as he normally would.